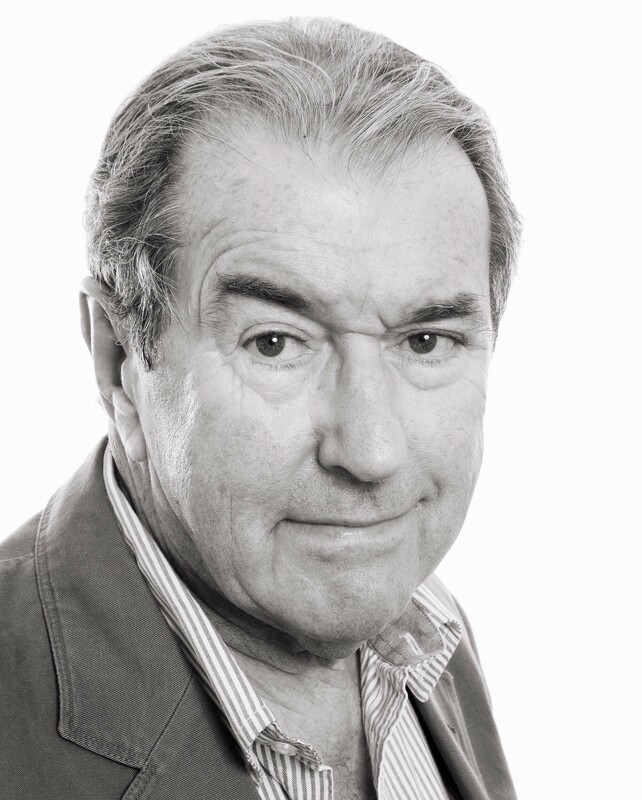 Few broadcasters can match the range of Denis Tuohy’s career over five decades. Margaret Thatcher in her memoirs describes their first television encounter in 1979 as “the most hostile interview of the whole campaign.” He was once thrown off a pirate whaling ship in Portugal, spent a day with Charles Manson’s notorious “family” in California, and has covered eight British General Elections and six U.S. Presidential campaigns. And he once clean-bowled the famous astronomer Patrick Moore, live, in a programme about cricket. After many years in London, followed by a few in county Cork, he returned to his native Northern Ireland in 2007. For UTV he produced and presented the series The Troubles I’ve Seen (2008) which won an ITV News award. There have been follow-up series in 2012, 2014 and 2015. He wrote and narrated Your TV – UTV at 50, a series to mark the station’s 50th birthday in 2009. In April 2011 he presented a series of special reports for UTV on the 70th anniversary of the World War 2 German Blitz on Belfast – of which he is a survivor. In April 2013 he narrated UTV’s Thatcher’s Ireland following Lady Thatcher’s death. Having taken up acting again after a long interval he has appeared on television in RTE’s Fair City, The Clinic, Fallout and Killinaskully, in BBC Northern Ireland’s Scapegoat and Betrayal of Trust.and in TG4’s drama/documentary series Fir,Maru agus Gra (2017) Stage performances include Blackness after Midnight (2012), a dramatization of the 1912 inquiry into the sinking of the Titanic and open air Shakespeare in Cork. He began his broadcasting career in Belfast in 1960 as a BBC newscaster/reporter. In 1964 he launched BBC 2 in London by blowing out a candle and acquiring the nickname “BBC Tuohy”. He presented the new channel’s discussion programme Late Night Line Up. Subsequently, as a presenter and reporter for Panorama, 24 Hours and Tonight (BBC1), TV Eye and This Week (ITV), he covered stories in Europe, the Middle East, Africa, India, South East Asia, China, Latin America and the United States. He was an ITN newscaster 1994-2001. He has written and presented many documentaries including Cuba Ten Year After (BBC1), To Us a Child (ITV), a global portrait of UNICEF, and The Law and the Lunatic (BBC I) about a miscarriage of justice in Belfast in the 1950s. On British network radio he has presented The World Tonight and Something Understood (BBC Radio 4), Reporting Religion (BBC World Service) and Classic FM music. On RTE Radio, while living in West Cork from 2002 until 2007, he wrote and presented Cards of Identity, a series of personal memoirs, and contributed to The Sunday Show, Five Seven Live, Rattlebag, Miscellany, A Living Word (all Radio One) and It Takes Me Back (Lyric FM). More recently he has made several contributions to BBC Radio Ulster’s Thought for the Day.